What is really in our drinking water that comes through the taps? If you were to read about all the chemicals that are allowed to be placed in our drinking water to clean and detoxify it, then you would probably stop drinking water altogether. Chemicals such as aluminium sulphate, ammonia and chlorine; this is just three of the chemicals put into our water out of the 32 chemicals that are used. It is scary when you think about how much ‘poison’ goes into the water and it makes you wonder what it is doing to our bodies. Fortunately, there is a very good solution to this problem. 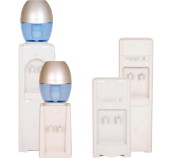 Pacific Springs are the leaders in water cooler innovation and they have a large range of water coolers for you to choose from. They offer an easy payment plan and they can install pure water coolers in your home or office, whichever the case may be. You can choose from filtration systems, water coolers with bottled water delivered every four weeks or you can have a bubbler station installed on your premises. Any of these options are a lot better and healthier than just drinking water from a tap. Your body will thank you for making the change to delicious-tasting clean water. Spring water coolers can be rented from as little as $99.00 per year and Pacific Springs have a special on at the moment as well, offering 4 free bottles of water. Filtered water systems start from as little as $550.00 per year and bubbler stations can be rented for $660.00 per year. You can also have a filtration system installed on your tap, which will clean and purify the water coming through. The filter will need to be changed every six months because of bacteria build up. 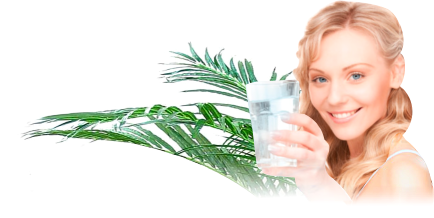 Having clean tasting water that is minus all the bacteria is the best way to a healthy body. We all have to drink water because over 80% of our bodies are made up of water. This is why when you get dehydrated, you become sick. Staying hydrated helps us to keep a healthy mind and body. Getting sick is not pleasant and at some point we have all been there and had doctors tell us that we need to drink more water to flush it through when we get a virus or some other illness. We often pick up viral and bacterial infections through the water despite the chemicals that are in the water. This is why having your water filtered is important because it gets rid of the bacteria and filters out the chemicals leaving the water tasting “clean.” If you are tired of having water that tastes of chemicals, then give Pacific Springs a call and get a water cooler today. Go to https://pacificsprings.com.au/ for more information. This entry was posted in Drinking Water, Water Coolers, Water Filters & Purifiers, Water Health and Safety (OH&S) and tagged clean water, water cooler, water cooler for rent by Teala. Bookmark the permalink.